The newest book from Dr. Ray Guarendi. 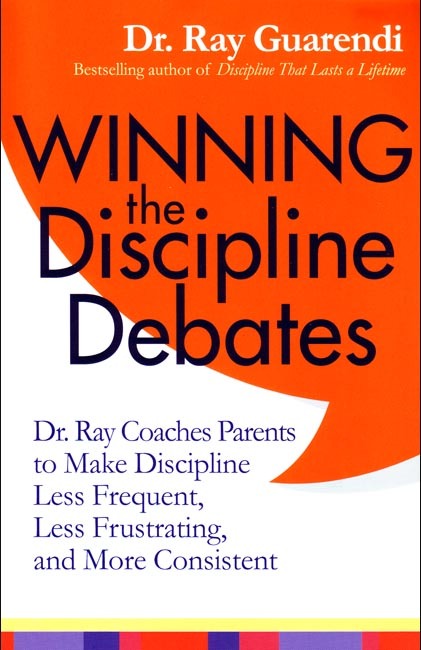 Winning the Discipline Debates covers a series of the most common (and most frustrating) discipline scenarios between parents and kids. The debates are interspersed with Dr. Ray's enlightening comments and observations. Learn, laugh, and let Dr. Ray coach you to stand strong and become a more confident parent. From preschool to the late teen years, with Dr. Ray as your coach, everyone wins! Copyright 2013. Dimensions: 5.5 x 8.5 inches. Soft cover. 139 pp.